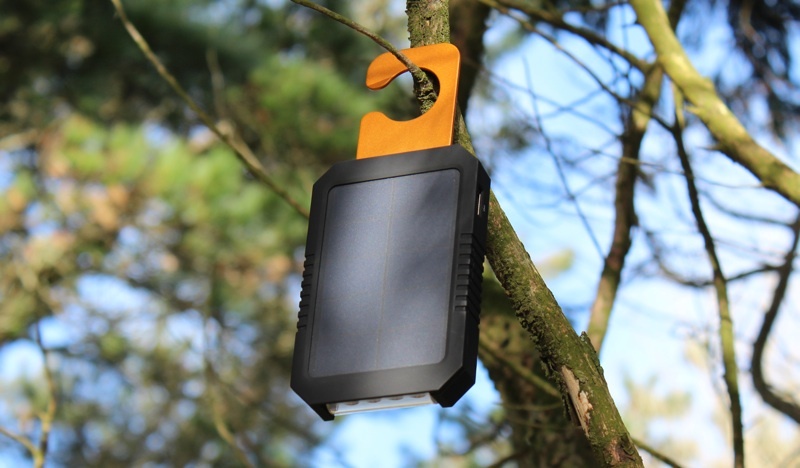 We enjoy using the clever Netherlands designed Xtorm range of solar powered battery packs; their simplistic integration with solar panels makes them very desirable products. 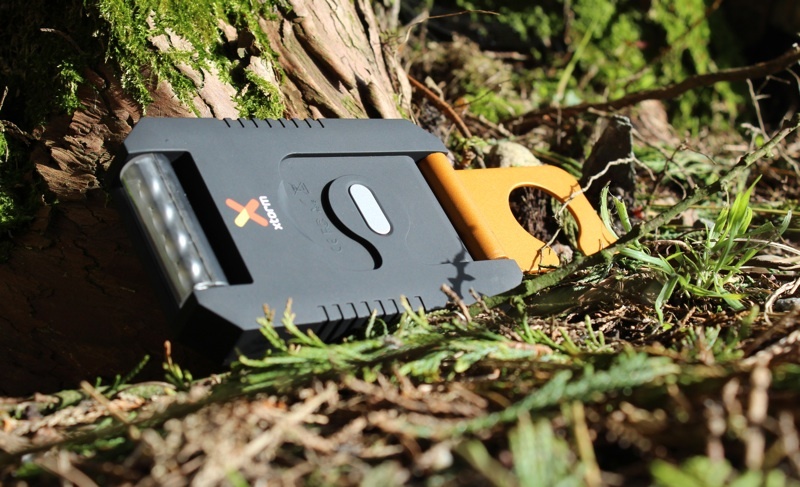 This new model, the Xtorm Magma Charger (AM116), incorporates a solar panel and an LED flashlight. Making it a seamlessly handy product for campers and avid outdoor travellers. The body is coated in rubber and the overall build is like a brick, in common with other Xtorm products, and perfectly suited to attach to the outside of a bag whilst on the move, thus allowing the solar panel to be in view of the sun. The rubber body can be laid down on wet and dirty surfaces without much concern as it can easily be wiped clean. And something we really liked about the Magma Charger was that its slim profile and relatively light weight at 148g means it fits into a trouser pocket. The rectangular solar panel on top of the Xtorm Magma Charger basically takes up all the surface area. It's a highly efficient solar panel too, making the most of its size. It has a peak input of 1.5 watts, the exact same as the Xtorm Yu Charger, but lower than the Xtorm Lava Charger with its two solar panels reaching a combined peak input of 3.5 watts. So with temperatures of 25-30+ degrees Celsius, the Magma Charger can fully recharge its internal battery in roughly 7-9 hours from our testing. On cloudy days, with lower temperatures, the Magma Charger will still draw energy via its solar panel but the charge rate will be greatly reduced. The internal battery has a capacity of 2000mAh which is enough energy to fully recharge an iPhone 5/5s. Charging smartphones and similar small devices is what the Xtorm Magma Charger is best suited to doing. The max output is 5V/1A, so charging a device like an iPhone using the Magma Charger is a tad slower when compared to a wall outlet, and from testing we found that it is not possible to charge an iPad with it. Tablets generally have very large batteries, so the Magma wouldn't be greatly suited anyway, it's better suited for smaller devices like smartphones and portable compact speakers. The max input rate when charging the internal battery via micro-USB is also 5V/1A. Xtorm have integrated a strip of four LED lights that emit a bright 1W white light. 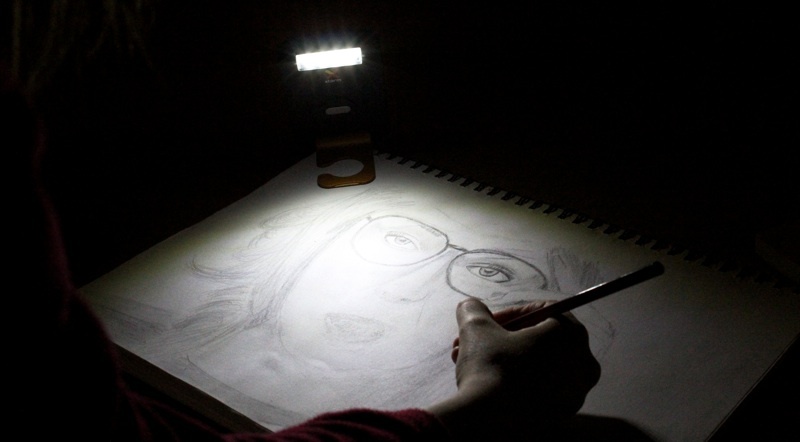 It's a fully fledged flashlight/torch which is comfortable to hold and is very useful to use outdoors as the light projects a lengthy distance. These LEDs sip the battery, and from our usage the fully charged battery kept the flashlight running for over twelve hours! The LED light module swivels 45 degrees so it can point forwards like a flashlight and sideways. A double tap of the only button on the unit will activate it and turn the light on. A singe press of this button will trigger the battery level indicator on the side of the Magma Charger. The charger has a flip-out stand hook which can be used to stand it up on a flat surface or alternatively hang it down from a suitable hook. This makes the Xtorm Magma Charger a helpful reading light at night as the LED module can rotate 45 degrees forwards. It also aids a more precise angle for the solar panel to face the sun during the day. 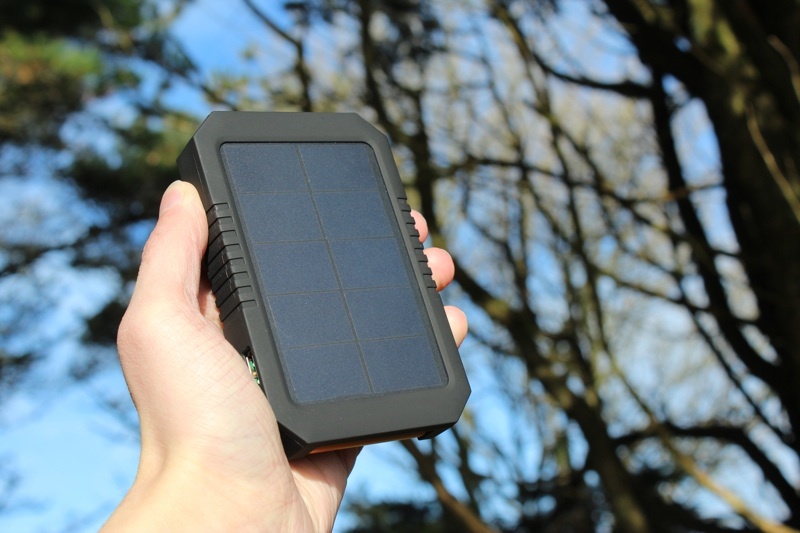 Once again Xtorm have managed to produce another reliable, rugged, and useful solar powered charger. The inclusion of a high quality LED flashlight within the Magma Charger is also very handy and we find it useful to have available for this purpose as well.